I believe that one can only attain excellence if one has (high) standards. Thanks to the world traveller who frequently dines at luxury hotels and Michelin starred restaurant, he expects what I make to be similar. He doesn’t accept mediocrity anyway, in anything in life. So he takes me along where he goes and shows me how delicious food can be and what I should strive for. I really do like that – challenges, exploring, learning, possibilities…. Now, my cooking can be really quite good (especially certain recipes). 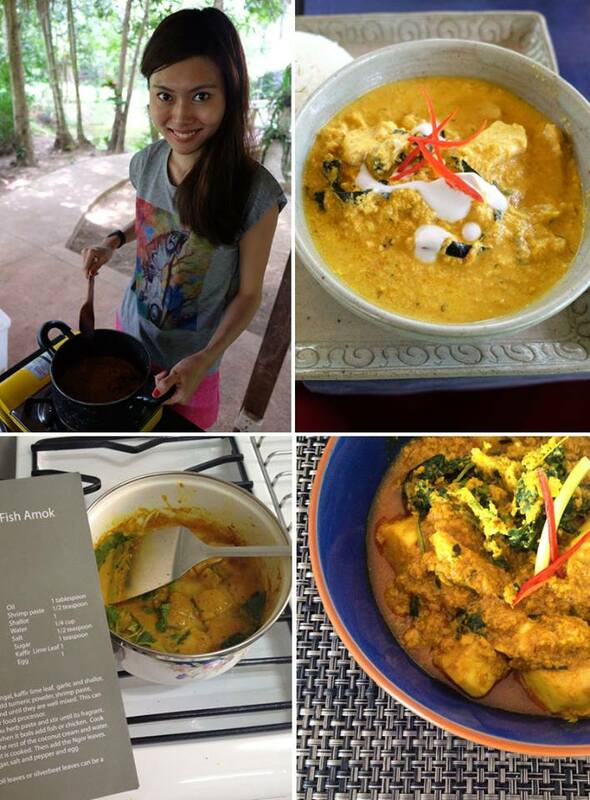 Today, I made fish amok, a famous Cambodian dish. It’s not too far off from what I had at Park Hyatt Siem Reap and my family loves it! So thankful to have someone who always believe I can do better and family who wouldn’t mind being my guinea pigs. Looking forward to feed them more!